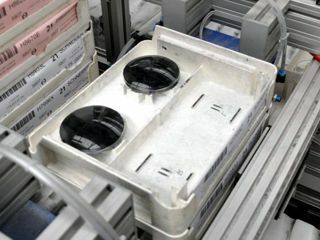 Conveyors are suitable for the clean environment required for Tinting and Coating. 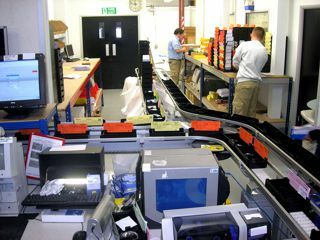 Job Trays can be diverted and fed from the main line to this area of production. Operators within this area will receive a continual flow of work.